Transforming your Bowls Green-the knowledge. I keep going on about healthy living soil and healthy living turf and healthy living bowling greens on this site. 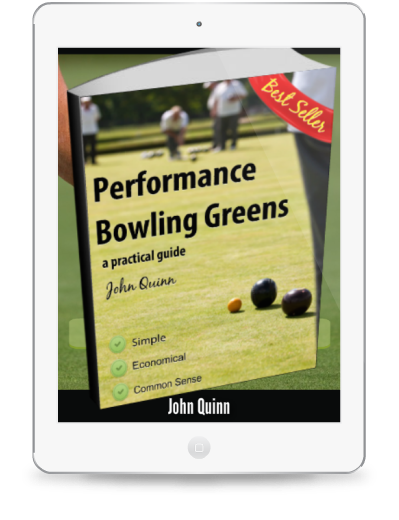 In my eBook Performance Bowling Greens, a practical guide, I focus heavily on the process of turning bowling greens back in to healthy living eco systems that are pretty much self sustaining. By self sustaining I mean that they are in a condition that allows them to be set up and prepared for play in a consistently high performance manner with no pesticides and minimal on-going in-put costs. This relies on the green being converted from a barren, sand laden, resource swallowing beast that is unpredictable at best and disappointing and expensive at worst. Knowledge, that you are doing the right thing and the Patience to spend the time following the program. Soil micro-life is critically important; this refers to the microscopic life in all soils and includes beneficial fungi which help plants to assimilate nutrients (which fungicides get rid of), and soil microbes, which help to turn organic matter (mainly thatch) into plant useable nutrient ions. Every time you add sand to the green, the abundance of soil micro-life reduces; sand is inert. Sandy soils generally have a lower Cation Exchange Capacity (the ability to retain the plant useable nutrient ions created by the soil microbes). There are two distinctly different kinds of pore space in soils; micro or capillary pore space where plant roots take up moisture and nutrients; and macro or aeration pore space where drainage occurs (to stop the soil from being saturated with water), and oxygen (critical to maintaining a large population of soil microbes) is held. Compaction ruins the structure of the soil and reduces aeration pore space, oxygen content and soil microbe populations. This is why compacted greens seem to need more and more fertiliser. Compaction + More Fertiliser = Thatch and so the downward spiral into the Circle of Decline begins. These are 5 guiding principles if you like for a consistently high performance green. You will notice that this is not a list of things to do, but a list of key things to keep in mind, to focus on as we patiently go about the transition process. You can be confident that if you are heading in this direction you are heading in the right direction regardless of how long the road is. And you can be confident that the view will improve (in the shape of performance) around every corner of that road. Aeration describes a range of mechanical operations used to improve the air content of the soil on bowling greens. 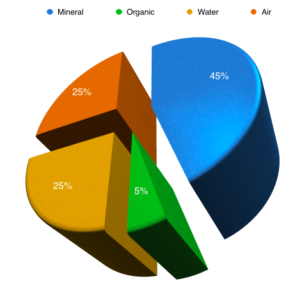 Soil air content is reduced mostly by he perennial turf problems of Thatch and Soil Compaction. 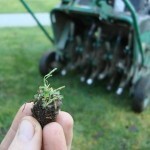 Aeration can be sub-divided into surface and sub-surface aeration practices.